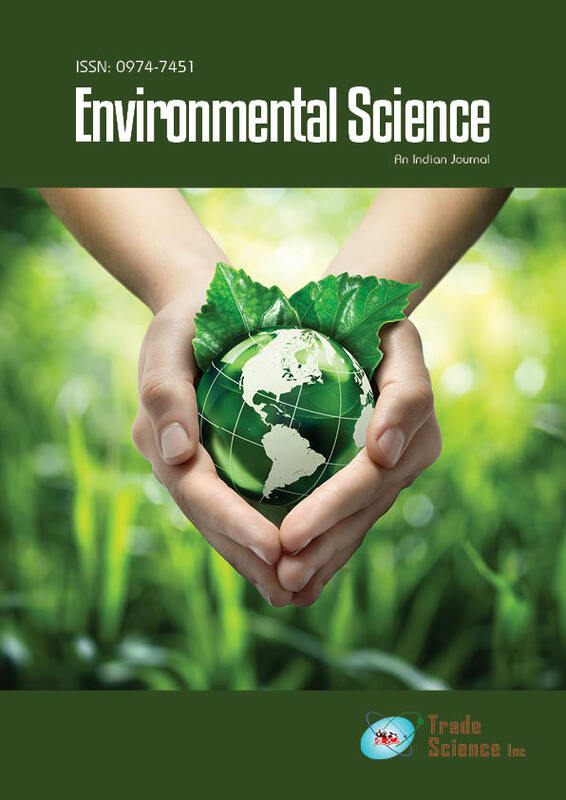 Environmental Science : An Indian Journal is an open access peer reviewed journal that covers the publishing of all aspects of Environmental Sciences with unwavering objectives of report on the latest research achievements and developments and providing quality online platform by publishing Research article, Review article, Short communication, Rapid communication, Letter to Editor, Case-reports and analyses in all areas of Environmental Science. Journal of Environmental Science publishes one volume each year with new articles being added instantly. The journal encourages research scientists, faculty, and students who are actively involved in scientific research and/or teaching at all levels, to submit their articles for intensive peer-reviewing and expedite publishing. Individuals from small and non-research oriented institutions are especially encouraged to submit their original articles for publication consideration.The journal work as a platform for researchers to foster the scientific facts and figures. When and where the mind is without fear and the head is held high-where the knowledge is free, where the world is not divided in narrow domestic walls, where the clear stream of reason has n..
Are We Really Developing Towards an Energy Conserving, Energy Efficient, and Sustainably Developed World? In today's scenario in a large measure, when one sees that environment, society is taking a beating /toll in terms of health, harmony, natural degradation, decreasing wildlife-forest cover, ..
A human being is a Natural Capital and not a resource. Any resource whether natural or otherwise is generally material or physical-a lifeless thing, whereas Human Being is a living, dynamic ..
Coastal regions are highly populated areas where more than two third of the worldâs population lives. However, due to growing freshwater needs in these coastal areas, there has been ind..